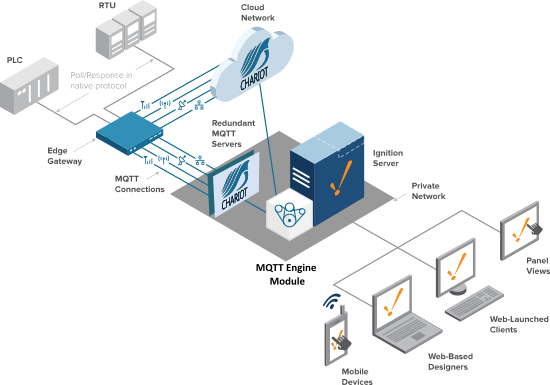 CHARIOT MQTT Servers provide middleware infrastructure for the industrial automation and Internet of Things market enabling the quick integration of data assets in SCADA and IIoT systems. 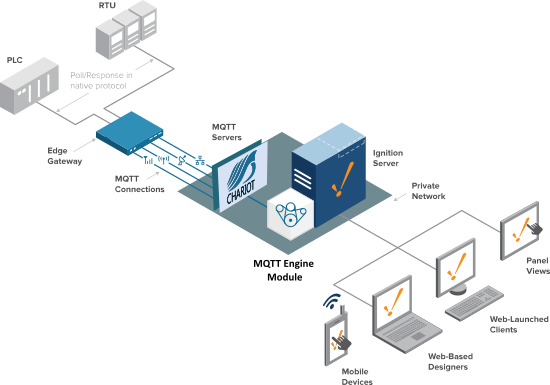 The Chariot MQTT Servers are offered as a VM image to be loaded on premise or within in AWS for installation on private, cloud based or both as shown below. 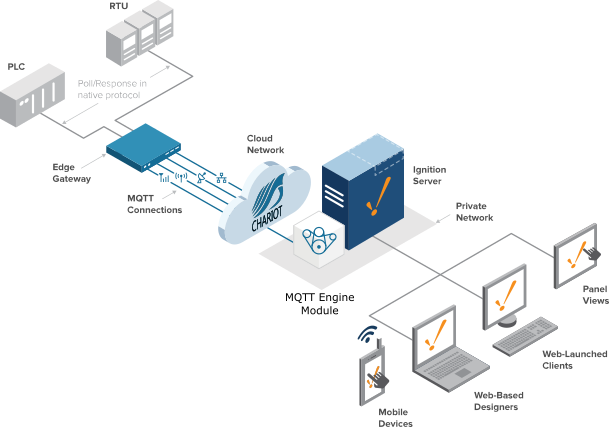 The cloud service can be managed by Cirrus Link or directly by the client.